The rising demand for surgeries with faster recovery, fewer post-surgery infections, less pain, reduced scarring, better control on bleeding, and increased accuracy are anticipated to boost the demand for various endoscopy devices. Technological advances in surgical techniques and enhancement in equipment handling have transformed surgical procedures, including the introduction of minimally invasive surgeries. These procedures usually provide equivalent outcomes to traditional open surgery, along with offering significant benefits, such as less major bleeding, fewer post-op infections, fewer complications, shorter length of stay, quicker return to normal activities, less scarring, and comparable/lower cost, among other such benefits. As a result, these procedures have become more popular in recent times. Aging patients are fragile, and thus, the use of minimally invasive devices (while performing surgeries) becomes important. Hence, the increase in the prevalence of geriatric population is also driving the market. Globally, there is an increased demand for cosmetic surgery procedures, which include surgical and non-surgical procedures that improve the appearance by reshaping and enhancing the body structure. For instance, as per a report published by the American Society of Plastic Surgeons in 2016, around 1.8 million cosmetic surgical procedures and 15.5 million cosmetic minimally invasive procedures were performed. 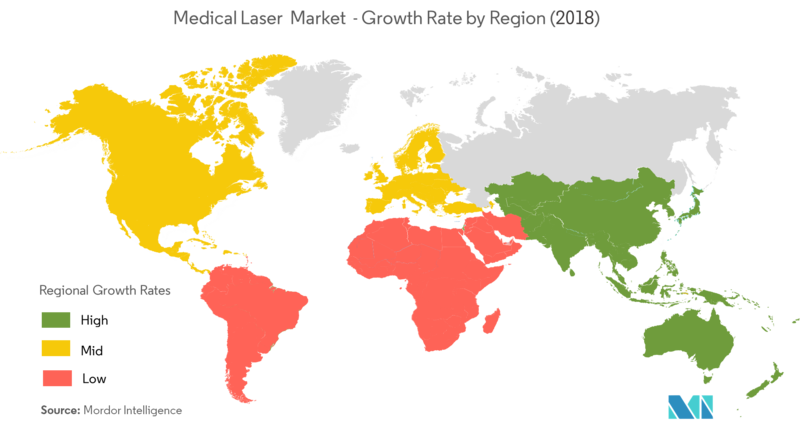 This high adoption of medical lasers in the area of cosmetic surgery is also expected to propel the growth of the medical laser market. 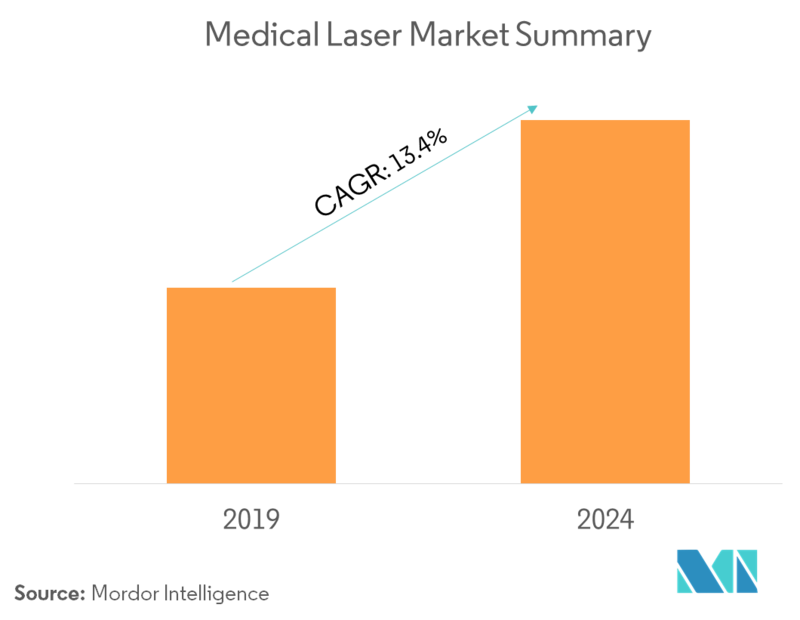 As per the scope of this report, medical lasers are medical devices that are used for the treatment of various diseases and tissue removal, which helps in medical diagnosis, treatments, and therapies. 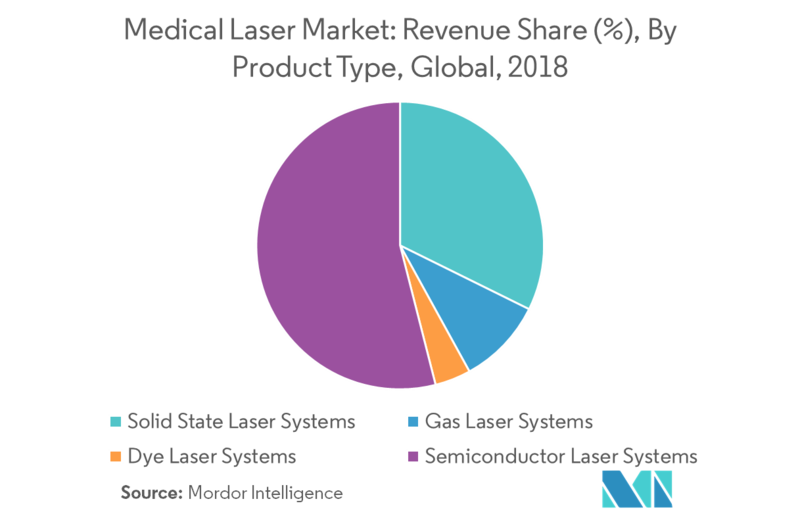 The semiconductor segment held a maximum share in 2018, as these semiconductors are widely used in aesthetic procedures and photodynamic treatment. Furthermore, semiconductor laser systems offer the deepest penetration levels and superior melanin absorption. These unique characteristics make the semiconductor laser the most suitable technology for laser hair removal, hence enabling safe and effective treatment of all skin and hair types in all body areas. 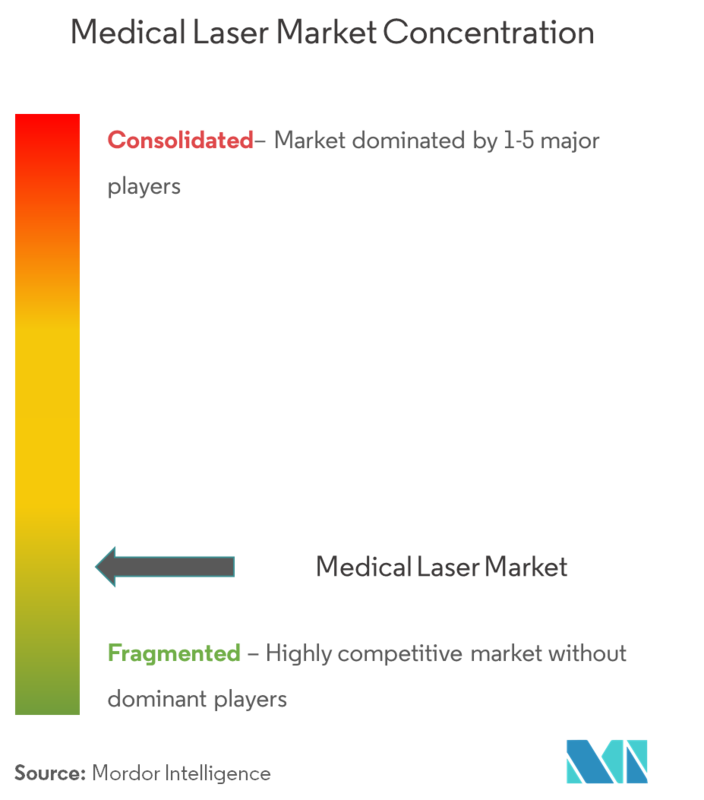 The medical laser market consists of several major players, including Bausch & Lomb Incorporated, Koninklijke Philips NV, and IRIDEX Corporation, among many others. The companies are implementing certain strategic initiatives, such as mergers, new product launches, acquisitions, and partnerships that help them in strengthening their market position. For instance, in February 2018, Lumenis launched Pico Fractional, a photoacoustic fractional laser system for skin resurfacing procedure. 6.1.1 Bausch & Lomb Incorporated.